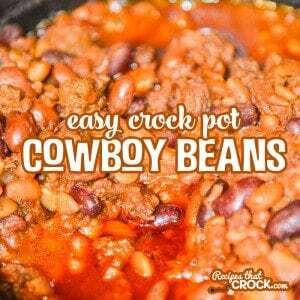 Easy Crock Pot Cowboy Beans - Recipes That Crock! These Easy Crock Pot Cowboy Beans are fantastic as a flavorful side dish and perfect as a hearty bowl all on their own. When we saw these Easy Crock Pot Cowboy Beans in Gooseberry Patch’s Busy Day Slow Cooking Cookbook I knew we were going to make them! We are BIG fans of cowboy beans around here and these sweet and savory beans did not disappoint! Mikey even made a video about it! Feel free to substitute beans of your choice as needed or desired. I have made these in all different sizes of slow cookers. I prefer to make it in browning slow cookers so I can brown my meat in the pot instead of dirtying up another skillet. This recipe easily doubles and triples for parties and potlucks. 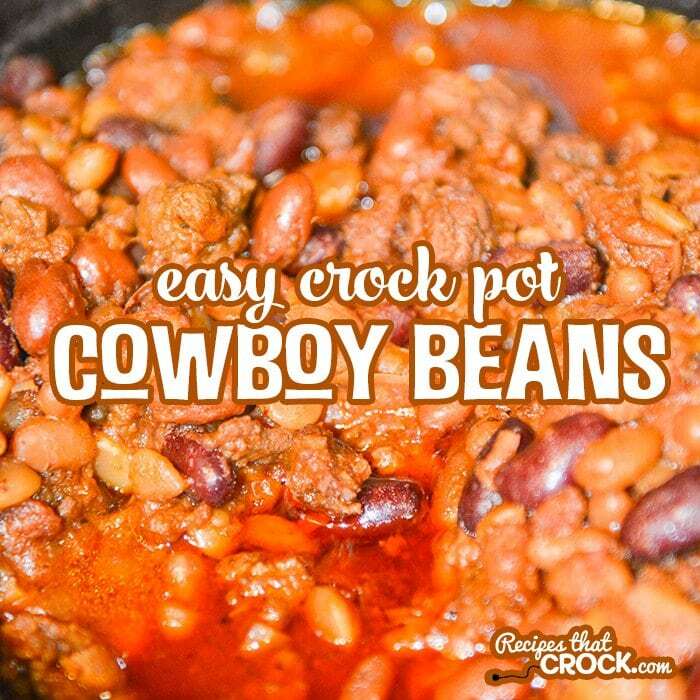 These Easy Crock Pot Cowboy Beans are always a hit! i can’t wait to fix these — i have a similar recipe i’ve been doing for years but this sounds even better. 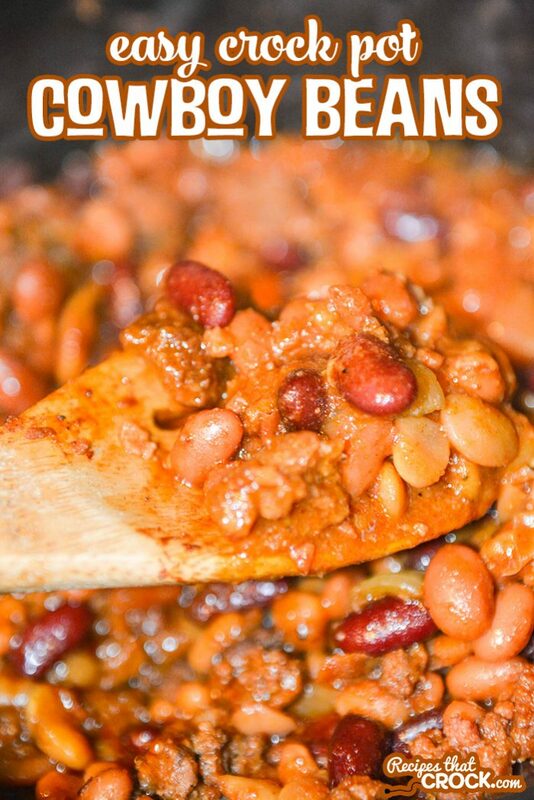 Mine uses only ground beef (no sausage or bacon – and we know that sausage and bacon ALWAYS makes things better), and it only uses pork & beans and chili beans. this will be great for our summer barbeques. I would just substitute brown sugar for the molasses. Enjoy! Is there a substitute for the molasses you can suggest?